More Kindle finds & features | Blog My Wiki! You can choose, navigate and skip around MP3 files by putting them in the ‘Audible’ folder – so you can have MP3 audio books. Or, presumably, music. You can do a screengrab by pressing Shift+Alt+G – it puts a GIF in the root folder. There is a hidden image viewer. To use it, you have to make a folder called ‘pictures’ in the root and your images must be in named sub-folders. The folders then show up in the main home menu list of items – you may need to press alt-Z to rescan the folders. Apparently, on previous Kindles Alt-shift-O used to add a picture as a screensaver. I tried it on the Kindle 3 and a bar like a ruler scaled from 1 to 9 appeared at the bottom of the screen. I couldn’t work out how to use this, if it has any function – perhaps this is something to do with the order of screensaver images? Or maybe it’s just a ruler! Interestingly, using the image browser puts ‘.manga’ files in the images’ directory, suggesting there was, at one time, a comic-reading function planned for the Kindle. You can enter the magic 3 digit codes. Go to the home menu, then settings. Using alt and the top row you can enter codes like 311 to switch carrier (I cancelled this pretty quickly!). Code 126 used to list the developers at Lab126 who designed the Kindle, but I couldn’t get this to work on the Kindle 3. Kindle 3 tear-down. Well, this rather excitable antipodean gentleman took the cover off and filmed it, which is more than I’ll be doing. The mysterious socket on the left is just where you plug in the cover with the built-in lamp, so don’t get excited. It’s no iMac mezzanine slot. This entry was posted in computers and tagged amazon, kindle. Bookmark the permalink. Have you tried Calibre E-book management software? 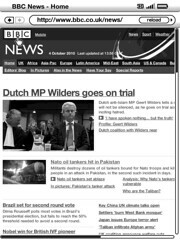 One of the features is a news scraper which can download news in MOBI format for the Kindle. I have used Calibre for getting stuff on my iPhone before (I think it was Calibre!) – I’ll give it a spin with the Kindle. News-scraper could be very useful. BTW, the connector is also a serial interface to the ARM processor and embedded kernal. Hi Dave! That’s cool – didn’t realise. Let’s hope someone gets probing and coming up with some cool hacks for the Kindle 3. Is the text-to-speech any good? It’s a pretty compelling feature for me, but it would only really be attractive if it actually worked well. I kinda zone out when reading eBooks sometimes, and a constantly-paced voice keeps me focused.